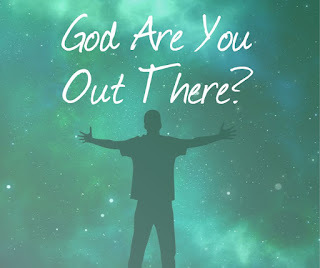 As I study Psalm 23 and its context this week, I will share some amazing truths..
A life changing truth was found in verse two, which says, "You make me to lie down in green pastures"........."In The Way of The Shepherd", author Don Baker notes how Shepherds contend with barren hills in Israel. Baker says, dry barren hills are common in Israel and are due to a lack of rain during the months between May and October. The vegetation is dry and scorched by the sun. The lush green pastures the shepherd leads the sheep to is prepared by the shepherd! 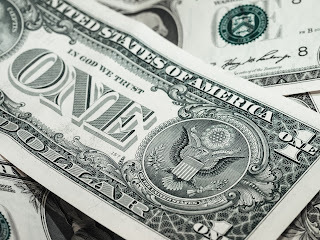 The Shepherd has to, clear the rocks, plow the soil, plant the seeds, irrigate the land and carefully tend the grasses to be certain the sheep have enough to eat." "The green pastures don’t just happen." Imagine the difficult task of manually preparing such a soil to produce lush green pastures. Think about that for a moment! If Jesus is our shepherd, he is the one preparing the pasture for us. He's actively converting the rocky barren circumstances in our lives to lush green pastures. If we trust Him, we will eat from the good of the land for He has meticulously prepares the soil to produce green pastures for us. The author notes some sheep wander off to find their own pastures. Unfortunately, they are often destroyed by a prowler or predator. But the contented sheep are fully satisfied and protected by the shepherd as they remain close to Him. 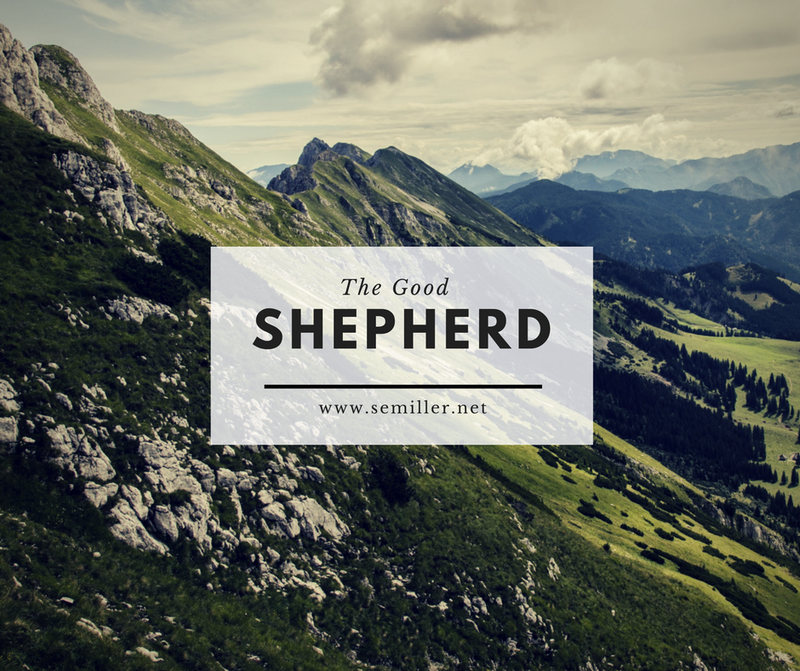 Is the Lord your Shepherd? 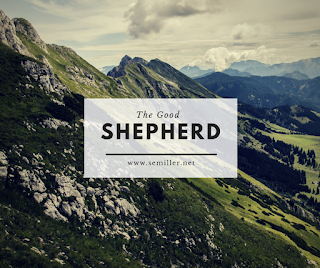 If He's not your Shepherd do you want Him to be? Try reading the following out loud to see what happens. Psalm 23:1 A Psalm of David. The LORD is my shepherd; I shall not want. Psalm 23:2 He maketh me to lie down in green pastures: he leadeth me beside the still waters. Psalm 23:3 He restoreth my soul: he leadeth me in the paths of righteousness for his name's sake. Psalm 23:4 Yea, though I walk through the valley of the shadow of death, I will fear no evil: for thou art with me; thy rod and thy staff they comfort me. Psalm 23:5 Thou preparest a table before me in the presence of mine enemies: thou anointest my head with oil; my cup runneth over. Psalm 23:6 Surely goodness and mercy shall follow me all the days of my life: and I will dwell in the house of the LORD forever.